This is a Premium feature. If you haven't signed up for Premium yet, check it out here. Personalized rankings are a great way to track your own player preferences. Set them once, and automatically have them displayed in all draft applications. This makes it extremely easy for you to see who your next best available player is to draft. 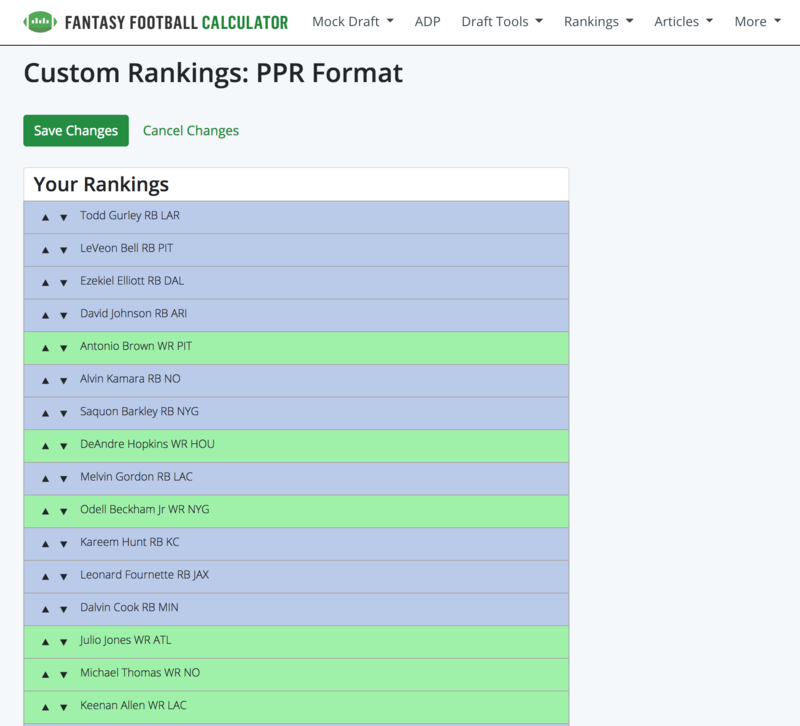 Set your custom rankings on the My Rankings page. 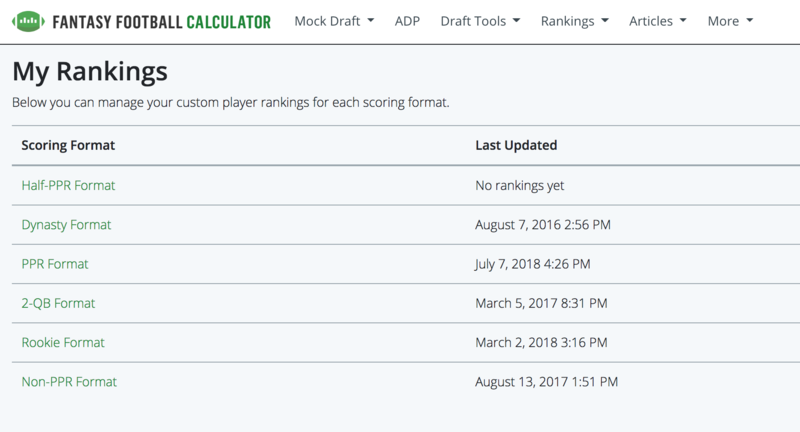 Here, you can create a set of rankings for each default scoring setting on Fantasy Football Calculator.